When buying a home using a real estate agent, you need to remain on the same team despite the stresses that can occur during the home purchase process. The agent you are working with can be your greatest asset as you go through the process and it is important that you keep all channels of communication open with them. It is rare that a real estate agent will fire a prospective buyer, but there are things that you can do that will insure your agent stays on your team and works hard for you. Annoy your agent, and he or she may want to wash their hands of you as quickly as possible. Work with them and they will be happy to help place you in the right home. Keep Them in the Dark – If you have a strategy as a buyer, tell them. Don’t spring any surprises on your agent as you want them to be able to appropriately advocate for you the whole time. 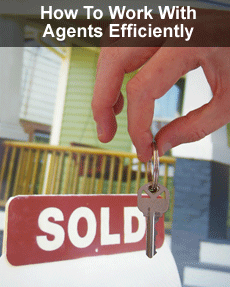 Waste Their Time – If buying a home is not in your immediate future, do not monopolize your agent’s time. 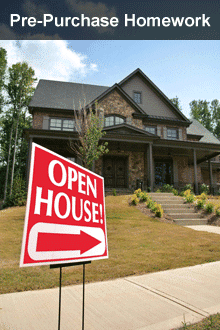 If you just want to get a feel for homes in a certain area, for example, let your agent know that is your intention. Most will be more than happy to show you a few properties, but they won’t spend additional time doing too much in-depth research and work if buying may not happen for a couple of years. Never Make an Offer – An agent can only spend so much time with you exploring the option of a home before an offer needs to be made. If you have a longer time frame in which you plan to make an offer, communicate this to the agent. Agents will be much more willing to work with you if they consider you an legitimate candidate to purchase a home. They can help you with questions you may have but it is important that you don’t misrepresent yourself as a potential buyer in the long run if that is not in fact the case and you don’t intend to make an offer. Following these simple steps can help you negotiate for your potential future home more smoothly with a stronger advocate for your offer in your agent. In the ideal world, it would be possible to spend a few days or even a few weeks living in the home that you intend to buy before you close the deal. This would allow you to learn all of the pros and cons of the home as it pertains to your lifestyle. In reality, this is not an option in a conventional real estate transaction, but that does not mean you cannot get to know your prospective home before putting in an offer to buy. Scout Out the Neighborhood – To get a feel for the neighborhood, you can tour the area and take advantage of new technology that can give you more information to work with. Google Maps now offers a ‘street view’ feature that allows you to see satellite images up close. By looking at the street view you will be able to see how well the neighbors take care of their homes (which can affect your property value), if there are neighbors with pools, and more. These are things that you may not see when simply taking a quick tour of the area in person. Verify the Sound Levels – If your prospective home is near a busy street, visiting at various times per day will help you determine just how noisy it will be. Remember to open the windows, particularly in the bedrooms. Sometimes in the excitement of looking at a beautiful home, obvious steps like this can be overlooked. Speak to People That Live Nearby – Typically, new neighbors will tell you everything you need to know about the area and more once you move in. They may be equally as open if you just try to initiate a conversation before you purchase. If you don’t feel bold enough to approach the neighbors, visit local stores and speak with the staff. Scouting out the area and doing some homework before you make an offer is the closest you can get to trying before you buy, and it can ensure that you are satisfied with your decision for the long-term. Many new home buyers are focused more on the affordability of their monthly payments today without enough focus on the future payments they may have to pay if their loan adjusts to a possibly higher rate sooner than expected. Sometimes borrowers will take a shorter term, adjustable rate term when a longer term adjustable rate loan might be more appropriate and vice versa. There is a risk that if a homeowner gets into a shorter term adjustable mortgage that is not appropriate for them, they may not be able to afford their home if their mortgage rate adjusts upward too quickly. As a result, it is important that new home buyers run some numbers before they choose their mortgage term. We can help you calculate payments at different interest rates and help estimate worst case scenarios upon adjustment (in the case of an adjustable rate mortgage), to help prevent a scenario where a loan that is affordable in the beginning, will not be unaffordable when the loan enters into its adjustment period. 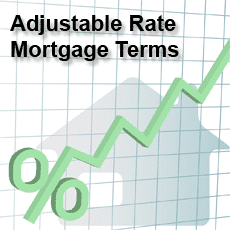 If we find that an adjustable rate mortgage term is not suitable for your finances or comfort level, then we can explore options for a longer term adjustable mortgage that will better fit your needs. A longer term adjustable rate mortgage guarantees that home buyers will be able to afford their home over a longer period of time without their rate adjusting. A 10 year adjustable mortgage, for example, allows home buyers to pay down more of the principal since the first few years of a mortgage primarily pays the interest. 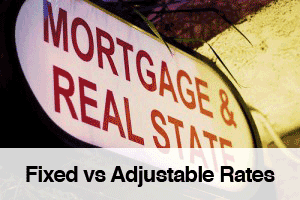 By the time the longer term adjustable mortgage comes up for renewal, the total amount will be lower. This means it will be more affordable even if interest rates are higher as there will be a lower balance owed. Home buyers that believe they will be able to afford their mortgage regardless of an increased interest rate can simply pick the mortgage term that most appeals to them. A little bit of preparation before choosing a loan term is critical in maintaining financial stability in the future and preventing challenges in the future. Everyone’s home search is different. Some buyers fall in love with the first home they see, and others have wish lists that are harder to satisfy. Buyers typically make their decisions based on location, size, finishes and features, and of course price. What most buyers don’t realize is that the process doesn’t end when you choose your dream home and put in an offer. In many ways the offer process is straightforward. You determine a price you’d be willing to pay, add any conditions or requests you’d like the seller to consider, and then allow your agent and possibly a lawyer to review it before it’s submitted. If you’re submitting an offer without having secured financing, there are other actions you need to take, including showing proof of income. Once your offer is accepted by the seller, there are only a couple of reasons why you’ll be allowed to back out of the deal. 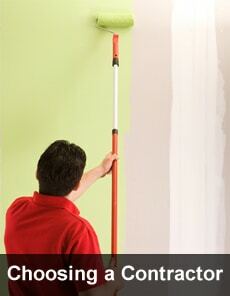 Some purchases are contingent on financing, while some are contingent on the results of a home inspection. If neither party backs out, however, you go to closing. Closing is the name given to the time when your home purchase becomes final. In order to close your mortgage needs to be approved, and you must officially turn in your down payment and checks for closing costs. Sometimes you’ll be able to sign the final contract early, but often that step has to wait until closing day. Your closing day is the day you receive your keys and your house is officially in your name. That’s the day when your home search is truly over. 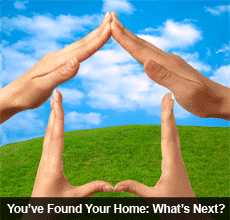 Need Help With Your Home Purchase? We can help you pre-qualify for a mortgage and help you understand what mortgage rate you would qualify for. More importantly, we can help you establish how much home you can afford. Since rates are near or below 2011 lows, now is the time to lock in extremely low rates before they are gone, which is not a question of if, but when. Comments Off on Applying for a Mortgage: How Much Can You Afford? Whether you’re applying for a mortgage for the first time or are looking at purchasing a new home and will be increasing your mortgage amount, it’s essential to understand how much you can afford. You may think that any number that fits within your monthly budget is comfortable and sustainable, but your mortgage lender may say otherwise. In order to determine what you can truly afford, there are some guidelines that mortgage lenders insist you abide by and they can ensure that you don’t get in over your head with your home purchase. You might think that if you make $4,000 per month that $2,000 per month to carry your mortgage is quite affordable but it’s not quite as simple as that to a mortgage lender. 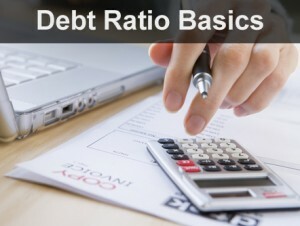 What they look at is a few essential debt ratios that ensure you’re taking on a mortgage well within your means with consideration to your other debts and expenses. The gross debt service ratio looks specifically at the affordability of your housing costs, and it requires that they are not higher than a fixed percentage of your household income, which can vary by program and lender. The way the GDS is determined is by calculating the monthly mortgage amount + property taxes + condo fees, and then that sum is divided by monthly income. In the case of the $4,000 income and the $2,000 mortgage payment, with this equation, that is not an amount that a mortgage lender would provide a borrower as the ratio is far too high without even considering the other housing costs. Your total debt service ratio is also considered to ensure that you get a mortgage amount that is easily affordable. The same calculation for the TDS applies, but with this debt ratio, all debt obligations are considered whether it’s a car loan, student loan or minimum credit card payments for outstanding balances as well as your housing expenses. This debt ratio can be no higher than 40%-42% on some programs, but this number can vary by program and lender. As a general rule, having your total debt expenses total no more than 40% ensures you have enough cashflow for savings, investments, household repairs, day-to-day living expenses and more. When you take on a fixed rate mortgage for 2 or more years, there’s potential that in that time period your situation or income could change. With a GDS of 32% or under, it’s more realistic to expect that if that happens, it’s more likely you’ll be able to continue to pay your bills. You never want to become house poor or you’ll begin to resent your investment. When you don’t over-spend on your home, you’ll still have opportunity to live your life. When you first buy your home, you may have fewer expenses than you would if your life changes. For example, when you make your purchase you may only be a couple and if later you have children, your variable expenses may change greatly. When you purchase a home for the first time, there are some expenses to keep in mind that you may not be aware of that you are responsible for when you close on your home. Closing costs typically total 3% to 6% of the purchase price of a home. 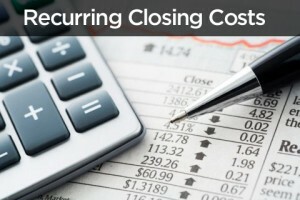 The recurring closing costs outlined below are not only applicable when you close but have to be paid on an ongoing basis after you take possession of your new home. These are the costs that you may have to pay out at closing, but that you’ll also be responsible for on an ongoing basis as a home owner. Property Tax – This will be paid at closing if the seller has pre-paid any of the property taxes for the period after you take possession of the home. If your mortgage lender requires that you put your property taxes in escrow, one or two month’s payments may also be required at closing. Mortgage Insurance – If you’ve taken out a high ratio mortgage (with less than 20% down) you may be required to have it insured. You may need to pay the full premium upfront or just the taxes. The same applies if you choose to take creditor protection to help you with your mortgage in case of illness or death. Home Owner’s Insurance – To protect you against fire or flood, at the time of closing you will be required to prove that you have insurance in place. Some lenders will require that you pre-pay premiums for the whole year. If you have any questions about recurring closing costs or any other mortgage related questions, we can help! Please contact us for a free mortgage consultation. You’re ready t o make that big step into home ownership, which can be exciting, but if you’ve never gone through the process? It’s easy to get overwhelmed but when you have a better understanding of what to expect from the process of obtaining a mortgage, you will feel much more confident about every decision you make no matter what comes your way. While we can’t cover everything that you may experience when you apply for a mortgage, here are a few things you can surely expect! 1. Discuss your needs and your finances with your mortgage professional – While this is not a step that you are required to take, even before you begin shopping for a house or a mortgage, it’s a good idea to go over your finances with a mortgage representative that can provide further advice on saving for your down payment or which debts you may want to pay off in order to qualify for the mortgage amount you’re hoping for. 2. Get Pre-Approved – Before you begin shopping for a house, you want to get pre-approved so you know what your lender will allow you to spend. In order to do this, you will need to need to complete a basic mortgage application and provide information about your income, debts and expenses. Your mortgage professional will look at all of this information and will advise you on the best mortgages for your needs, and provide a guideline as to how much you can spend on your home. 3. Commit To a Mortgage – The specific process depends upon your lender, but typically once you’ve made an offer on your home, you will have to provide a few further details about you that way your mortgage application can be formally processed. 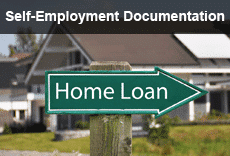 You will receive a mortgage commitment, but there may be some conditions attached. 4. Fulfilling Your Mortgage Conditions – It depends upon your state and lender, but often you will be asked to prove that you have your down payment and even some of your closing costs in place 30 days before you’re set to close on your home. If some of your down payment will be coming from a family member as a gift, you may also be asked to provide a gift letter. Your lender wants to ensure that you aren’t borrowing your cash assets that you’re using for your home purchase. 5. Sign Your Closing Papers – This may happen before your closing date or on your closing date depending upon your lender and where you live. You will then confirm the frequency of your mortgage payments and arrange a payment method for your mortgage premiums. 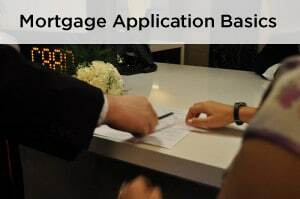 The above outlines some of the main components of the mortgage application process, though some of the finer details will depend upon your lender and the state you live in!